"I am ever grateful to Dr. Green and his staff for creating the smile I only dreamed of." "I’m so thrilled with my smile I can’t wait to have the others done." I’m very happy with the results – I have a nice, natural-looking smile. Dr. Green was very friendly, very supportive, cheerful, professional, and knowledgeable. TOP DENTIST in Essex County. In addition, he is a Certified MEDICARE Provider for surgical procedures and implants for qualified patients. Dr. Green offers FREE consultations to people who want to get more information on implants & other dental procedures. 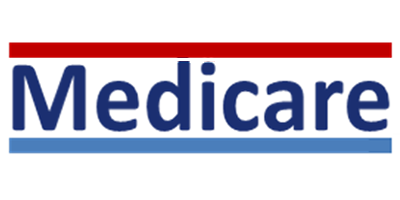 Click here to find out more about the Medicare Program. You can also call (973) 228-0252 or email Dr. Green at garygreendmd@gmail.com. Dr. Gary Green is one of only one percent of U.S. dentists who are certified to treat Medicare patients. Click here to learn more about the Medicare Program. Dr. Green graduated with special distinction from the Fairleigh Dickinson University School of Dentistry in 1979 and completed an advanced certification in prosthetic dentistry at New York University in 1988. He returned to New York University for a fellowship in implant dentistry in 1992, which he completed in 1994. The techniques presented in the fellowship were for those of advanced surgical placement of implants and bone grafting surgery. Dr. Green is a member of the AAID, one of the highest international organizations for skill in the surgery and restoration of dental implants, the most life-changing treatment that dentistry offers. He also holds membership in the ACP, recognizing a broad range of skills in dentistry that his post-graduate education provides for patient benefit. Dr. Green has been helping patients eat comfortably and smile freely with dental implants since 1993. He has developed special methods of implant dentistry to “rescue” the denture patient, as well as those with debilitated teeth needing complete reconstructions. This, combined with advanced prosthetic techniques, allows even the most compromised individual to return to a life of enjoying great dental health. All treatment is performed in the same office. Dr. Gary Green teaches other dentists the art and science of dental implants and implants cosmetics so that his methods can help other Essex/Morris/Passaic county residents outside of his own practice. He has taught dental implant and restoration courses and is a former faculty member at the NYU School of Dentistry. Dr. Green utilizes his extensive training and experience to treat even the most challenging dental situations. He has been delivering cosmetic, implant, and functional solutions to patients for over 34 years. His commitment to “doing it right” and ability to “handle just about anything” has won him the admiration of patients and doctors alike. To top it all off, Dr. Green’s practice is recognized for environmentally responsible dentistry with the highest ratings and awards possible. Dr. Green is endorsed by more colleagues than any other West Essex doctor with a practice that has a similar focus.